Meet Danielle Guizio. She’s a fashion school dropout who now happens to be one of the hottest fashion designers of 2018. Her clothing line has been spotted on all the models from Kendall, to Gigi, to Emrata…and doesn’t seem to be slowing down anytime soon. Aside from her booming clothing business, it’s really her custom made DG denim pieces that have been popping up on our feeds that caught our attention to her designs. 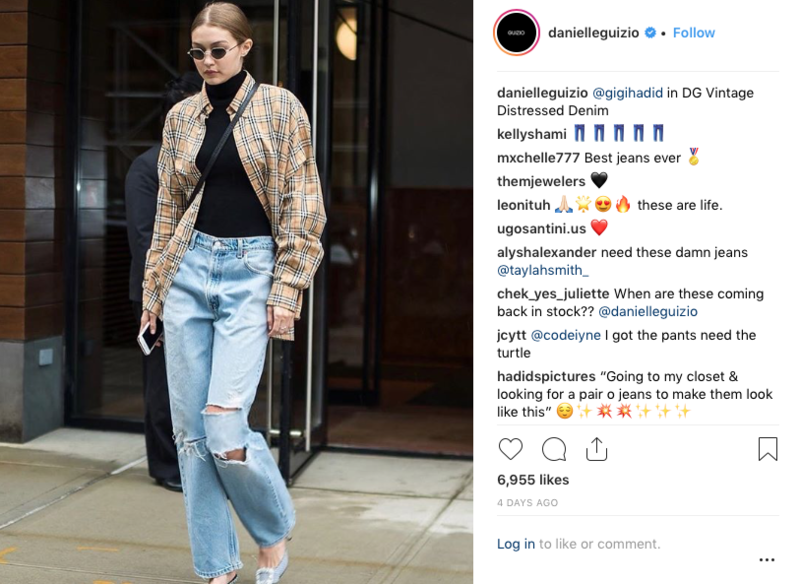 There are plenty (if not an overload), of denim brands going in to reconstruct old, vintage Levis, and making it their own, but there is something special that Danielle accomplishes with hers that make them look authentic, original, and be recognizable as a DG custom created pant. 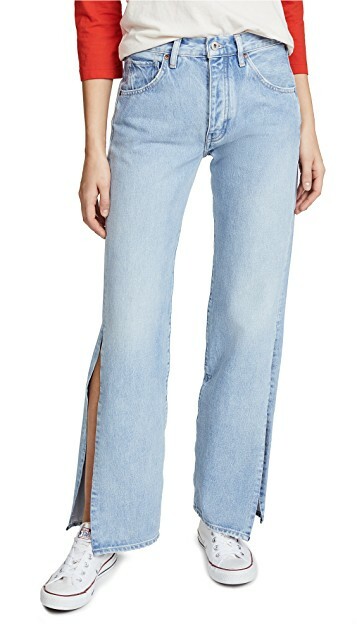 Also, literally every single one of her jeans on the site is marked as SOLD OUT. Tough luck for us non-supermodels. Emily Ratajkowski posts herself wearing DG custom jeans in a shot back in April. Emrata wears the classic, Levi’s vintage 505 silhouette (we think) that mostly all of Danielle’s custom made jeans seem to be. A loose, baggy fit throughout the leg and sweep, with a fitted, high-waisted top block. Gigi is spotted leaving her apartment in between shows during NYFW in her custom DG Vintage Distressed Denim. 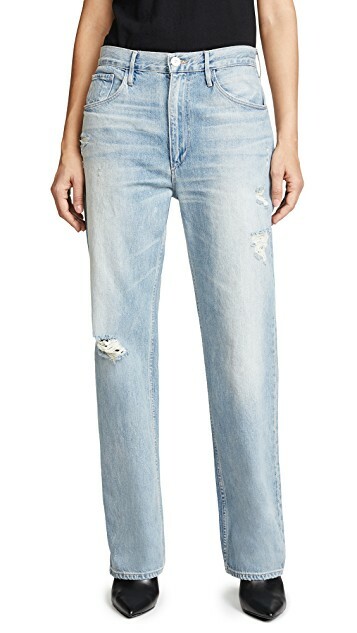 These pair of jeans seem to be less fitted around the waist, creating closer to a true boyfriend jean feel and fit. Gigi Hadid wears DG Vintage jeans for her cover for Vogue Korea’s September ’17 issue. A cover page feature on a September issue Vogue is major! 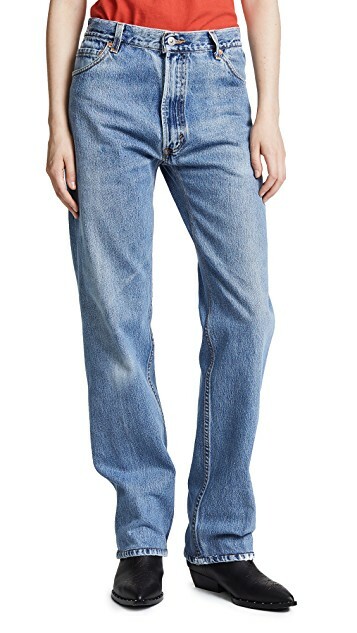 Kendall wears these high waisted DG Vintage jeans effortlessly on a night out in Los Angeles. 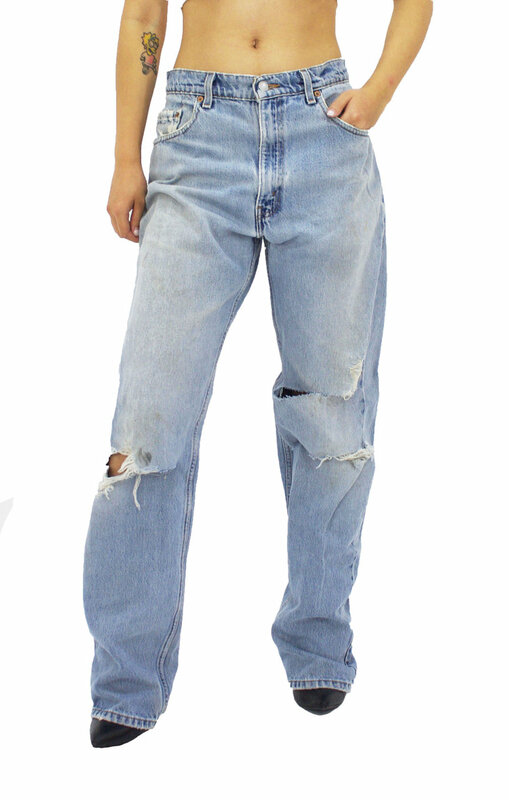 She remains quite faithful to these particular jeans and has been spotted on multiple occasions wearing them. Bella really shows off the custom-made appeal for all of Danielle’s vintage denims by ensuring her waist fits tight and snug all the way around, while still maintaining an oversized, loose cut throughout the hips, thigh, and leg opening. 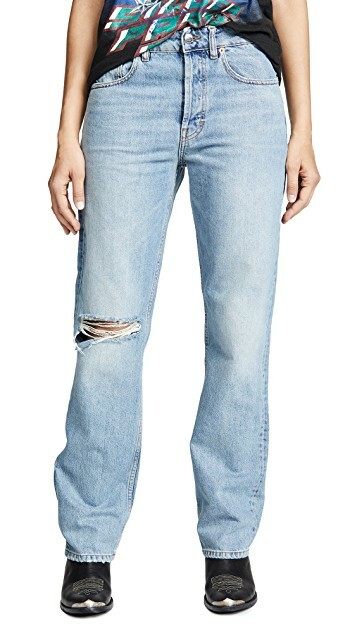 High-waisted with triple ripped knee holes for an extra edge and worn-in feel. The Vintage Pair 105, currently sold out. Vintage Levi’s, reworked by DG in NYC.